There aren't enough food, service, value or atmosphere ratings for Sindhi Tikki Bhandar, India yet. Be one of the first to write a review! we visited here first time in october. it was near our hotel. tikki taste was awesome. in march also we visited here to eat tikki. really a good place for evening eats. I last time came to India and went to Sindhi Tikki, the taste and quality is still the same. I really like its Tikki in Bun and its Sweets. 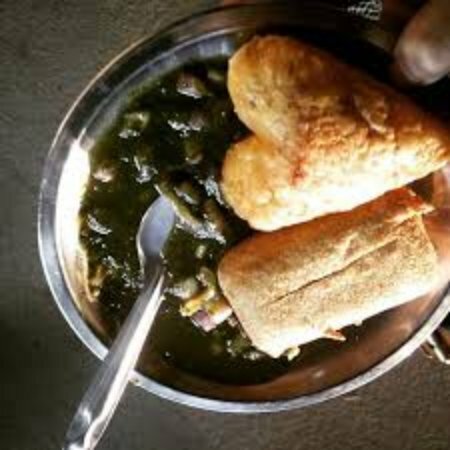 The heart shaped tikki with sweet pudina chutney brings water in your mouth.The taste revolves in your mouth and refreshes you. Thumbs up! Get quick answers from Sindhi Tikki Bhandar staff and past visitors.